Whether you’re part of a band, DJ, radio station, nightclub or a session musician, having a professional-looking website can be achieved with ease using WordPress and a high-end premium music theme. Being able to self-promote your latest recording releases, special events, live tours & gigs, session availability, and your social media outlets is a great way to increase your fan base. Music is a great form of art that finds acceptance among all age groups and cultures. The history of music is as old as mankind, and it has undergone continuous evolution with the passage of time. Today, music has donned a technical avatar, thanks to internet and technology. iPods, SoundCloud and similar websites are something that all music lovers are familiar with. By making use of premium WordPress themes for music websites you are given all of the necessary tools to create visually appealing websites that are very functional. Premium WordPress themes often come bundled with useful features or support a wide-range of 3rd party plugins with functionality such as custom post types, audio players & playlists, events manager, discography manager, music charts, social media promotion and many more. Music producers, bands, recording studios, nightclubs, session musicians, and DJ’s can all benefit a great deal using the power of a high-end premium music theme for WordPress. By installing a fully responsive premium WordPress theme you can immediately increase the reach of your music project or business by making it fully accessible to everyone no matter which device is being used. If you are a musician, band or recording label or in any way related to the music industry, you have to be tech-savvy and use the right tools to promote your stuff. WordPress is a great choice to go with and you can find great music WordPress themes for bands, singers, DJs and musicians. WordPress developers have come up with many awesome features that perfectly understand the needs and requirements of this artistic niche. Below you will find a nice collection of music WordPress themes. 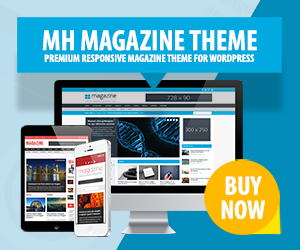 MH Magazine is a highly flexible magazine theme for WordPress. This cool WordPress theme is suitable for all kinds of niches and content genres and can be used to launch awesome editorial websites about music as well. Present lots of content well-organized on the widgetized front page and publish great content about latest gigs, popular bands or other news from the music industry. Kentha is a game changer among music WordPress themes, rising the market level for the music niche with innovative design and functionalities. This professional music theme for WordPress includes 7+ custom types (e.g. Artists, Events, Places, etc. ), an exclusive real time music visualizer, podcast cards and interactive animated cards to play album playlists, WooCommerce integration and much more. Kentha is the perfect theme for any musician, DJ, producer or music club. Speaker is a one-page music WordPress theme that keeps everything simple yet strong. This professional and powerful template offers a responsive design, retina readiness, custom sections, video background, parallax design and lots of other features. Speaker is very easy to install and also compatible with WooCommerce which means you can sell your music, songs and events. This music WordPress theme comes with the perfect launch pad as it is a single page platform which best suits starter projects. With Speaker you can take your music website to the next level. Flycase makes an ideal case for music lovers who want a competent and customizable music WP theme. It is very strong in layout and comes with equally strong features that make sure your art and talent get maximum exposure. Flycase WP theme is responsive, retina ready, user-friendly and flexible. It is a fine meeting point of looks and functionality with a very well-documented manual. Flycase is suitable for professionals as well as amateurs and helps both in building wonderful melodious web platforms and can also function as an eCommerce store. FWRD is a modern WordPress theme designed to give musicians, bands, and DJs a solid platform to create visually stunning websites with comparative ease. With FWRD you can make use of several high-end features that let you create engaging websites to help you promote your media, events, news, and social media channels using user-friendly interfaces that are powerful enough for advanced users. This music WordPress theme is suitable for all of today's modern desktop browsers, tablets and smartphones. The FWRD WordPress theme is therefore a great solution for all music-related projects and businesses. This music WordPress theme offers all the media avenues through which you can broadcast your music. Nilltone is a premium WP template with multimedia support and fits for bands, solo singers, recording labels, event companies or any other music related person or place. This music WP theme is vested with great features and very elaborate in its designing. Nilltone further fully supports audios and videos, with a large number of features in each category. Created especially for musicians, bands, singers, DJs and others in the music industry, IronBand is a very suitable music WordPress theme. It is quite cool and covers your art and talent in a very comprehensive way. IronBand offers SoundCloud, Vimeo, YouTube, Twitter and Facebook support. Besides, it is user-friendly and comes with a booking section where your fans and audience can join and follow your events. With IronBand you can launch a cool music website with ease. The Acoustic WordPress theme provides solo artists, bands, DJs, nightclubs, and music producers a simple solution to launch cool music websites. Take advantage of the many useful features that come loaded with the Acoustic WordPress theme. Several custom post types are provided giving you control over your music events, discography, videos, galleries, and artists. An advanced control panel and color scheme editor allow you to customize this music theme in various different ways. Beat Heaven is responsive, customizable and comes with all necessary features to create professional music or events websites. This music WordPress theme provides a very easy admin interface from where you can operate everything with simple clicks and tailor things as you like. Beat Heaven is customizable in various different ways, so you will for sure find the optimal solution for your online presence and take your music related website to the next level. The Sonik WordPress theme is a powerful template specifically developed and designed for musicians, DJs, singers, bands, producers, clubs and radio stations. This music WordPress theme comes equipped with advanced tools to help you create appealing pages to self-promote your music events, media, news, and social media channels. Using a visual page composer, a series of custom shortcodes, selectable page templates, custom widgets, and an extensive array of customizer options, you're able to quickly and easily create beautiful websites your visitors will enjoy. Tuned Balloon is a very cool music and band WordPress theme with a beautiful design and great functionality. It is responsive, user-friendly, flexible and highly customizable and fun to work with. Tuned Balloon makes use of post formats through which you can display posts with special layout and design for the formats image, gallery, video, aside, link or quotes. Furthermore, Tuned Balloon music WordPress theme is very simple to use yet strong in what it has to offer. SoundWave is a flexible music WordPress theme which can be used by DJs, musicians, night clubs, and bands to launch great websites. Using this music WordPress theme you can give your fan base a welcoming and functional environment to enjoy your musical releases and other media items, no matter which browser or mobile device they may be using. Take control over your audio files, music events, image galleries, videos, artists, and DJ mixes using a user-friendly interface that is suitable for beginners and advanced users at the same time. Clubber is a very popular and widely used music WP theme which goes well with musicians, bands, DJs and others in the music industry. It is mobile friendly, user centric, flexible and much more. Clubber music WP theme has many options through which you can manage events, albums, photos and videos. With this nice WordPress template you will have a great and nice time working. Soundboard is a very powerful and effective music WordPress theme. It is very stylish and offers many designing elements via skin, colors and fonts. Soundboard offers special features for bands and solo artists. You can clearly display your events through dates, newest album, latest pictures, videos, etc. This music theme is very audience friendly and has got all the arrangements necessary to make the followers stay tuned to your site. Soundboard is furthermore social media friendly and in sync with WooCommerce so you may create an online shop side by side and make your online presence even more valuable. This music WordPress theme is a professional and complete solution. Nocturnal is a beautiful music theme for use with WordPress. It is suitable to launch websites for nightclubs, bands, and musicians. You can also create stunning online presences for your fan base with ease. This music WordPress theme offers several premium features to help you build great-looking websites that are unique to your music business. You may increase your online reach by ensuring your website visitors receive a consistent and flawless experience no matter which browser or mobile device they are using. The Replay WordPress theme is a great solution that provides you with a pleasing online presence for your music business. Whether you're a DJ, session musician, nightclub owner, music producer, or part of a band. With Replay you can make use of the included custom widgets, shortcodes, selectable page templates, and custom post types to put together professional websites related to music. The Replay WordPress theme ensures your visitors receive a consistent experience no matter which desktop browser or mobile device they may be using. Live! premium WordPress theme is very fluid and mobile-friendly with many cool features like multiple playlists, photos/video gallery, discography, show dates, unlimited customization and much more. This music WP template has got everything needed to promote your musical work and empower your talent. Live Music furthermore is super user friendly and fully customizable. Music Pro is a proper music WordPress theme that covers all kinds of music professionals, from DJs to bands. Music Pro is very efficient and comes loaded with many fantastic features such as 3 pre-made skins, multiple playlists, discography page, review post type, show dates, 3 homepage sliders, photo galleries, video gallery and lots more. Music Pro lets you make the most out of your music site and gives you the opportunity to make it more interactive. Music Pro WordPress theme is socially empowered and also open to modifications. Rockit Now WordPress theme is perfectly suitable for musicians, nightclub owners, DJs, or bands. You can launch high-end websites with ease, using the included features that help you take care of your music events, galleries, media and more. The Rockit Now WordPress theme is optimized for use on today's modern browsers and mobile devices, allowing you to take your site to the next level. The Brooklyn Indie Band WordPress theme is a great companion for DJs, musicians, and bands. You may showcase your music in a modern, fresh environment that has a professional design and comes vested with useful functionality. The Brooklyn Indie Band WordPress theme is ideal for modern desktop browsers and mobile devices providing a consistent user experience for every visitor. Using Sound Rock WordPress theme you may create impressive online presences for your music project or business. DJs, bands, session musicians, or singers can quickly and easily build functional websites that put your music events, news, media releases, and galleries in the spotlight. Via the use of a user-friendly and powerful interface, you can take full control of your music website and customize it to suit your needs. Sound Rock also considers mobile visitors and ensures they receive a consistently reliable user-experience with every visit. Via the use of the powerful Vibration WordPress theme you can launch appealing websites for your music business. Vibration comes loaded with a wide-range of selectable elements, custom skins, Google fonts library, and custom widgets. The Vibration WordPress theme allows you to stand out from the crowd. An advanced theme options panel containing many useful options enables you to fine-tune your website to suit your precise needs. With the LA Band WordPress theme you can setup awesome music websites for your band, radio station, nightclub, or any other music-related project or business. This music WordPress theme comes bundled with high-end features, including an array of selectable color schemes, page layouts, custom templates, custom widgets, and an advanced theme options page. The LA Band theme is suitable to create attractive music related websites for your visitors, fanbase and listeners. With the incredible Soundstage theme for WordPress you may give your band, musical project or business a lift. Soundstage is suitable for both beginners and advanced users, and it gives you the tools required to create visually impressive music websites with ease. You can easily showcase your music blog posts, image galleries, events, and discography in an attractive way. With just a little effort you can leave a positive lasting impression on your visitors with the Soundstage theme. The Rock Palace WordPress theme is a versatile solution for musicians, night clubs, bands, recording studios, and DJs. This music WordPress theme provides a variety of selectable layout templates for your blog page, home page, portfolio and posts, an unlimited color scheme editor, and a selection of content sliders. The Rock Palace WordPress theme includes all the necessary tools in order to create stunning music websites. A bunch of useful shortcodes also come supplied along with a shortcode generator system that allows you to express your creativity and create engaging content to promote your music business in the best possible way. Using the Spikes WordPress theme, you can create beautiful and engaging music websites for your band, music project, or any other music business. Self-promote your music, summer tour, and album releases in an attractive way. With useful theme options, unlimited color scheme choice, unlimited sidebars, and a visual drag & drop page building system, the Spikes music WordPress theme is an incredibly versatile template that is suitable for advanced users as well as beginners. For bands, session musicians, vocalists, and DJs, the Rocky WordPress theme is perfectly ideal to create professional music websites. Using Rocky, you'll have a fully responsive layout that looks great on all browsers and mobile devices. You can therefore nicely showcase your music releases, forthcoming gigs, and news, in an environment that is user-friendly and powerful. This music WordPress theme comes bundled with a variety of custom interfaces and theme option panels that makes it easy for you to comfortably manage your music website with ease. The Banda WordPress theme is a great solution for bands, musicians, festivals, DJs, and singers wanting a professional online presence for their music related business. Coming equipped with a variety of premium features that enable you to create attractive and functional websites, the Banda WordPress theme is a great way to inform about your music project or business. It is suitable for all modern browsers, tablets, and smartphones, so you can be sure your visitors are receiving a consistent user-experience with every visit. The Applause WordPress theme is a nice way to give your band, music project or business a stunning website. Whether you're a singer, musician, DJ, nightclub owner, or member of a band, you can easily create beautiful websites that look awesome on all browsers and mobile devices. Make use of the included high-end features that help you showcase your music events, media releases, galleries, and videos with no prior coding knowledge required. The MusicPlay theme for WordPress websites is a versatile template primed for use by bands, radio stations, DJs, and musicians wanting to showcase their music in a professional environment. Bundled with this music WordPress theme comes a range of music-related interfaces to help you organize and present your audio releases, videos, forthcoming events, albums, and even artists. A full-width audio player, and an integrated mixing solution that enables you to mix a variety of music tracks together. Accompanied by a comprehensive theme options panel and a wide-range of custom widgets and shortcodes, the MusicPlay WordPress theme is a stunning template that looks amazing on all browsers and mobile devices alike. Club88 is an advanced WordPress theme specifically fine tuned for bands, musicians, DJs and all other music related projects or businesses. By taking advantage of user-friendly interfaces, you're able to organize and present your discography, images, news, artists, events, media, and products via the custom WooCommerce integration. A powerful yet easy-to-use theme settings panel, a range of selectable layout templates, and a variety of custom widgets also come provided with the Club88 WordPress theme enabling you to customize this music template to suit your specific requirements. There is no better way to showcase your band’s discography, forthcoming gigs, band news, and images from your last live tour than with a professional-looking premium theme for WordPress. WordPress itself makes life easy for you from the get-go, with its user-friendly interfaces and easy to navigate menu system you can easily launch awesome music websites. The use of premium WordPress themes doesn’t complicate things any further either as usually all high-quality modern themes also come bundled with a wide-range of easy-to-use yet powerful interfaces to help you manage your band, music project or business website with ease. Premium features such as audio players, event management tools or discography management allow you to not only stand out from the crowd, but present your music in the best possible environment that looks amazing and provides the best possible user-experience for your audience. Thank you so much for these superb WordPress themes. I found one more beautiful theme named MusicTune which is also ideal for music websites. 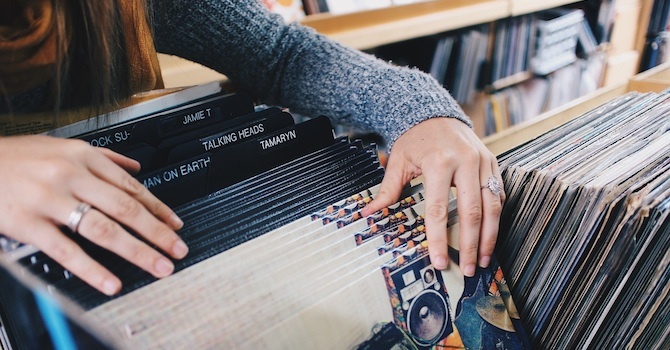 Thanks for this awesome listing of WordPress music themes. I was looking for a music themed template for WordPress and your post has included some nice suggestions from talented designers. I especially like the FWRD theme for music bands – that’s great work! I’m looking for a WordPress template for musical websites to promote a musical which we’ll go on tour with soon. Do you have a suggestion for such a template? It also should support videos because we want to add video trailers of our musical. Thanks. Hi Barry, you could go with any of the above mentioned WordPress music themes which meet your personal requirements in terms of functionality and design. Video is supported by almost any WordPress theme nowadays as this is handled by WordPress core as well. If you can’t find a suitable WordPress theme in this collection, you could also have a look at some business themes or video themes. These aren’t necessarily built for music websites, but of course could be used as well. For example the Divi theme is a very flexible theme that can be used for many different purposes and optimized landing pages.